Previously known as ProBAM custom ROM, you can now update Galaxy S4 to AOSB Android 4.4.2 custom firmware. A new addition in the ever-increasing list of Android 4.4 based custom ROMs, AOSB (Android Open Source Blitz) Project is based on Android 4.4.2 KitKat AOSP and CyanogenMod 11 builds. Here are the prerequisites and step-by-step guide to update Galaxy S4 to AOSB Android 4.4.2 KitKat custom firmware. Note: this tutorial is focused on LTE Samsung Galaxy S4 i9505; kindly do not try this guide on other Android & Samsung devices. 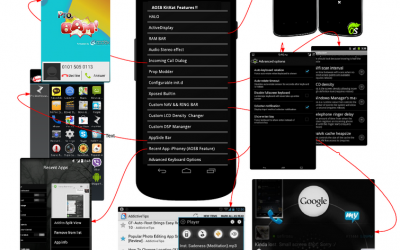 Required files: download the AOSB Android 4.4.2 KitKat custom firmware for Galaxy S4 from here and save it on your computer. Do not extract the contents. From recovery menu, select install zip from sdcard followed by choose zip from sdcard. Locate the AOSB Android 4.4.2 custom firmware and confirm the flashing process. Return back to main recovery menu and reboot your Galaxy S4 I9505 into the new custom ROM. First boot takes a good 5 minutes so please be patient. Congrats! You have successfully updated Samsung Galaxy S4 to the latest Android 4.4.2 KitKat with AOSB custom firmware.